Every Labor Day for my entire life (except for the year my youngest brother was born), I’ve walked the Mackinac Bridge (pronounced MACK-ih-naw). For those who don’t know, the Mackinac Bridge is the suspension bridge that connects the lower peninsula of Michigan with the upper peninsula. It is the fifth largest suspension bridge in the world. Each year, tens of thousands of people gather for the annual Labor Day bridge walk, including Michigan’s governor. I love the tradition. I love the feel of walking five miles high above the water, Lake Michigan on one side, Lake Huron on the other. It’s a tradition that’s bigger than just my family. It is a tradition that connects generations. My dad did it. My grandparents did it. Years from now (if I ever get married and have kids) my kids will do it. Even if I don’t get married, I’ll keep walking the Mighty Mac each year until I no longer can walk. There’s something special about walking in the footsteps of your grandparents. The bridge connects Michigan, but it also connects generations in Michigan. I remember walking across the bridge holding my grandma’s hand. My brothers spent several years walking across with our grandpa. It’s a part of a culture. A culture that walks the bridge rain or shine, wind or sun. Fall isn’t allowed to start until that bridge is crossed. It’s a culture that’s tough enough to get up early in the morning to gather for a five mile walk. It connects those who do it. 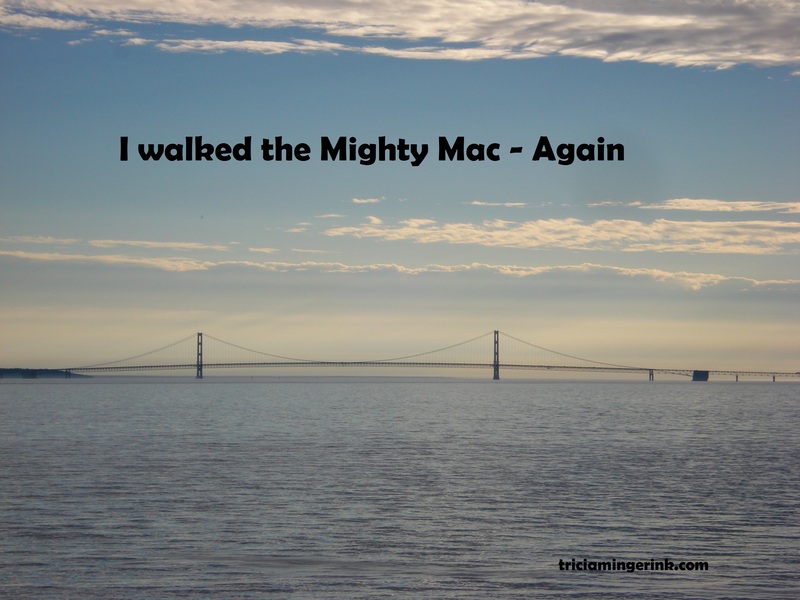 When I meet someone who has walked the Mighty Mac for a number of years, we share stories. We both remember the year the wind was so strong that the whole bridge swayed, causing everyone to stagger. We remember the years it was so cold we walked in our winter coats and scarves. And we’ll remember this year, the year it was spitting a warm rain and all the early walkers got covered with a sheen of rain. There’s a power in that. It isn’t a religious holiday or tradition. It’s a cultural one. Something that is specific to just a small number of people. For someone who loves traditions as much as I do, it’s strange, when I think about it, how little I remember to add them to my fantasy worlds when I’m writing. But I should make more of an effort. Traditions hold a lot of value and power. They will shape our characters and hold our fantasy worlds and cultures together. What about you? Do you have any traditions that your family has? If you’re a writer, do you have any traditions for your characters? As most of you know, I was on vacation last week. I intended to post this Tuesday, but when I got back, unpacking from camping, catching up on work and all the stuff I’d neglected before and during vacation, and realizing that deadlines I’d pushed back to the end of summer were now less than two weeks away. All to explain why this post is going up on Friday. While I didn’t get to go to Realm Makers this year, I did end up in St. Louis, MO on the Monday after Realm Makers. A couple of my friends and I took an awesome week-long road trip to Missouri. And, I still got to revisit one of my writing roots. The year was 1996. I was six years old when my parents loaded up our old Midas motorhome and took my brothers and me to Missouri. My dad had read the entire Little House series to us, me curled on his lap listening to the rumble of his voice in Pa’s stories and knowing that I was his Half Pint as much as Laura was Pa’s. We’d already visited the replica of the little cabin in the big woods, though it is now a little cabin surrounded by tiny saplings. I don’t remember if we had visited any other sites by that point. 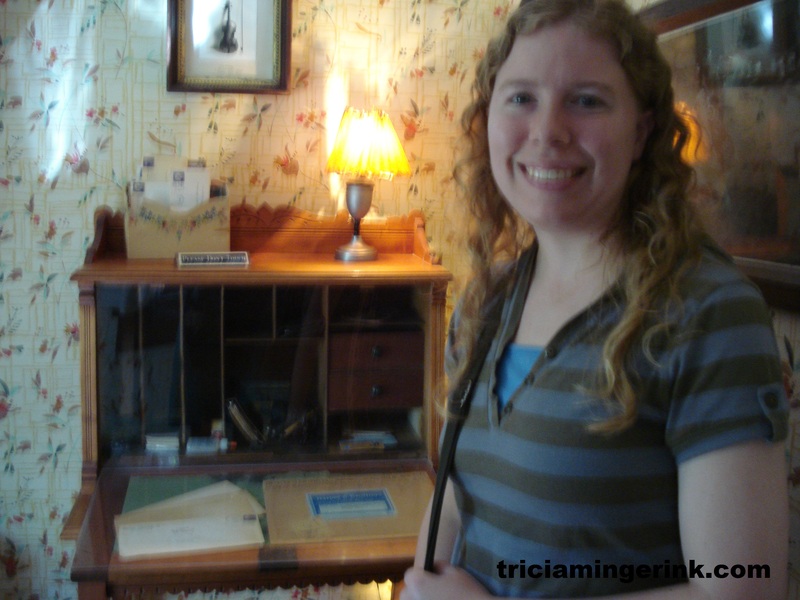 I eventually visited all of the Laura Ingalls Wilder sites, the last one in Independence, KS when I was sixteen. But on this trip, we were stopping at a Laura Ingalls Wilder site not in the books, yet essential to them. 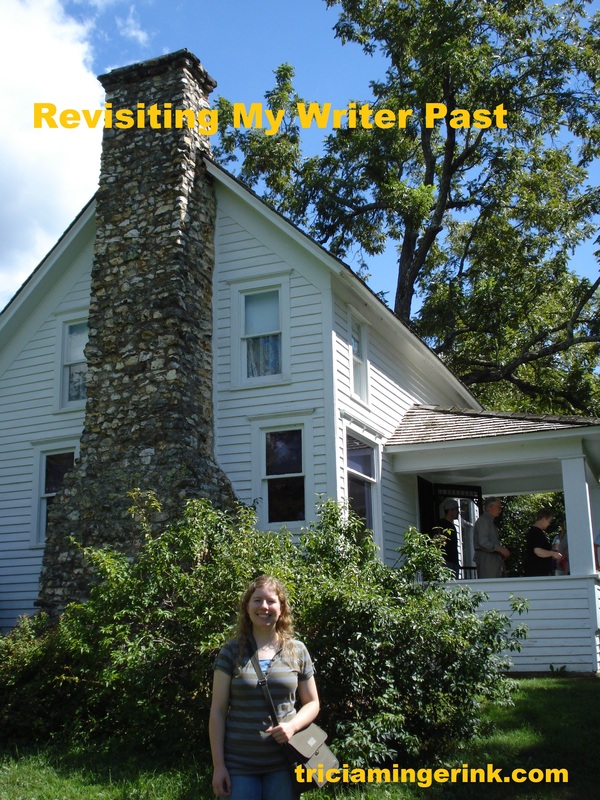 I’m talking about Rocky Ridge Farm in Mansfield, MO, the place where Laura Ingalls Wilder actually wrote the books. I was six. 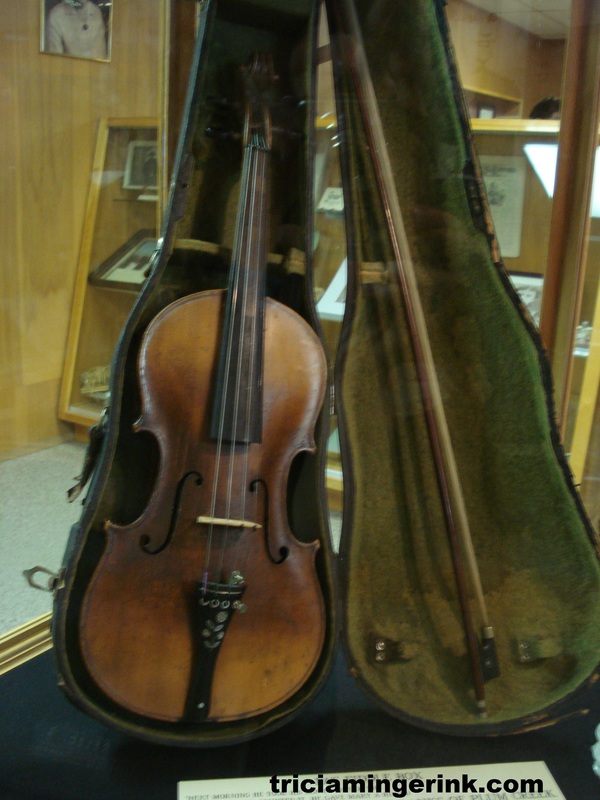 I was awed in the museum at Pa’s fiddle and a handwritten manuscript. The house was old and huge. The furniture big. The tour boring. I don’t remember anything from most of the house. But I do remember Laura’s desk. It was big with cubies and space for writing. And there, standing in front of that desk, I made the decision. I was going to be a published author someday. The year is now 2015. Nineteen years have passed since I saw that house in Mansfield. Seeing things as an adult is both the same and different. The wonder at seeing Pa’s fiddle is still the same. Pa’s voice in my head is still my dad’s. I’m still my dad’s Half Pint. The house is different. It’s smaller. I actually remember the tour through the rest of the house. This time, I see the people and their lives, not just the author and her books. Laura Ingalls Wilder is smaller. I’m actually taller than her (by a whole inch, but I’m still taller). And the desk is smaller. My own desk at home could swallow it. It doesn’t look like something big enough to start off a little girl’s hopes and dreams. Still, I choked up standing there. At six, I’d stood there and decided I was going to be a published author. Nineteen years later, I stood there a couple months after my first book released. A surreal moment. Nineteen years. A longer road to publication than my six-year-old self could’ve comprehended. I’d thought I’d be published by sixteen or eighteen at the latest (because eighteen year olds are so old when you’re six). Have you ever read the Little House books? What memories do they bring up? 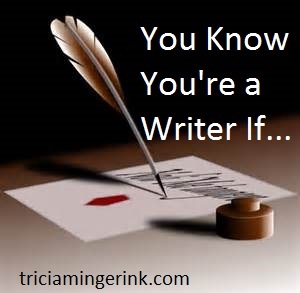 Do you have a specific memory of the day you knew you wanted to be a published author? I slid onto the brown, cushioned chair. My heart pounded. Nerves filled my stomach better than the food I hadn’t been allowed to eat for the past six hours. I shouldn’t be such a wimp about this. After all, I’ve had my characters get stabbed, shot with arrows, and cauterize their own wounds without any sort of pain killer whatsoever. I should be able to handle getting my wisdom teeth removed. Even worse, I wasn’t worked up about the surgery part. I could handle the aftermath, and I’d be asleep when the surgeon removed the teeth. No, I was freaking out over the needle for the I.V. That tiny, single prick. I sucked a long breath through my nose and stared around the room, at the blank TV, the empty stool in the corner, the x-ray of my teeth on the computer screen. The happy gas didn’t seem to be working. Tension still curled my muscles. The monitor bleep bleeped my heartbeat. “Hold out your arm.” The oral surgeon pulled out a stool and sat next to me. I draped my arm towards him. He tied a rubber tourniquet around my upper arm. “No, it’s just…my right arm.” My tongue wasn’t working right. I didn’t have the energy to explain why I was freaking out. I needed my right arm. If it got a bruise from the I.V., I wouldn’t be able to spend Saturday editing like I’d planned. I squeezed my eyes shut. He was right. It was only a slight pinch. He removed the tourniquet. “Young adult fan…fantasy…Christian fantasy fiction.” Did that sound as slurred to him as it did to me? 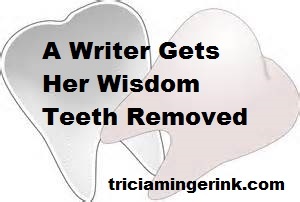 “I actually have an idea for a book where a guy from the Middle Ages goes to the dentist.” It was an idea I’d had while at the dentist a few weeks’ before, right before I’d learned I needed my wisdom teeth removed. “Yeah, though my idea would have him go to a modern dentist. Time travel. He’d freak out.” The things a writer thinks of while getting her teeth cleaned at the dentist. I could just see the guy freak out by the strange torture session. By this point, the oral surgeon was probably relieved when I passed out. 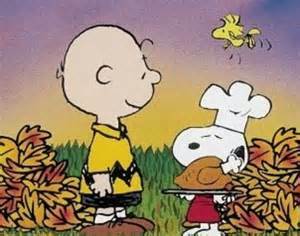 By now, you’ve probably read plenty of blog posts about thanksgiving and what people are thankful for. This is a good time of year to pause, look back, and reflect, and I guess this blog post isn’t going to be any different. 1. I’m thankful I wasn’t published this year. That sounds like a strange thing to be thankful for, but I’ve learned so much that I wouldn’t have learned if publication had come when I’d thought it would. 2. I’m thankful for the community of writers that I’ve discovered. This year, I commented on a few authors’ blogs and discovered that published writers are people too. I’m so thankful for Nadine Brandes, Angie Brashear, Gillian Bronte Adams, Jill Williamson, and other authors who have replied to my comments and encouraged me even though they have never met me in person. I still squeal in excitement when I see an author replied to one of my emails or my comments. 3. I’m thankful for my critique partners, whether they are ones I just met this year or friends I’ve had since high school. You all are so amazing, and I wouldn’t know how to write without your encouragement every step of the way. 4. I’m thankful for Go Teen Writers even though I’m no longer a teen writer. I’ve met so many unpublished, young authors through that blog, and I look forward to getting to know everyone there better next year. The community there is wonderful. 5. Finally, I’m thankful for you, my readers. I don’t even have a book published, but I have 49 likes on my Facebook page and 74 followers on my blog. I never would have thought that possible when I started this blog a few months ago! Thank you so much!